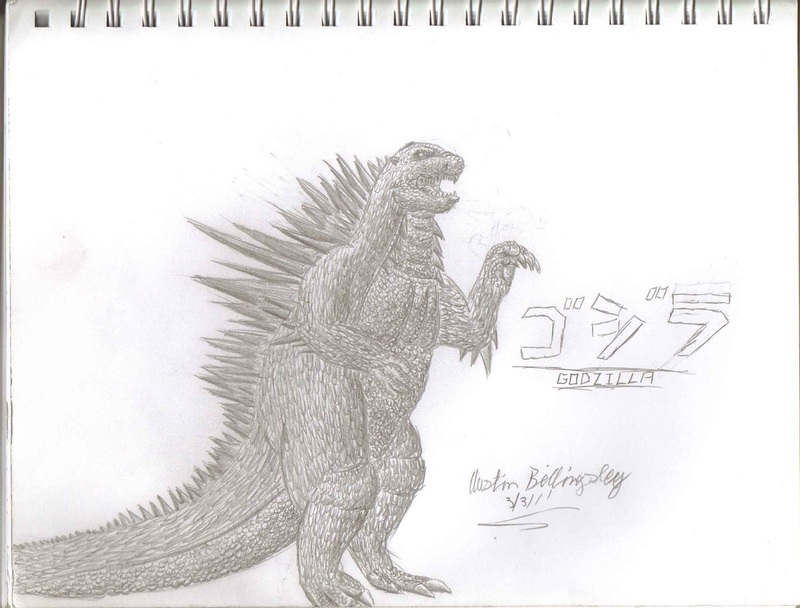 I decided to draw my interpretation of what the new Godzilla would look like in the upcoming movie (As of this post, 9/11/13). I am glad that I was way off from the truth. Other than the proportions, he has a bad design all over.